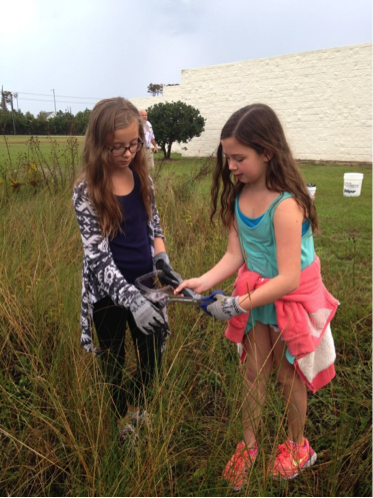 This fall, the federation has been working with students in schools throughout the coast to maintain school rain gardens. 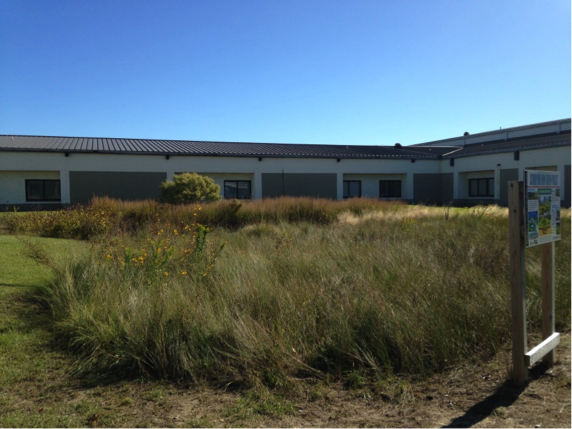 The gardens are used as living classrooms and provide a number of hands-on learning opportunities for educating students on water quality, reducing stormwater runoff, and native plants and habitats. Rain gardens are small, shallow, vegetated areas that capture rain during storms. They are lower than the surrounding lawn and function as a bowl as they collect rainwater from the roof or driveway. The plants and soil in a rain garden then soak up the water before it has a chance to become polluted stormwater runoff, the No. 1 source of pollution in our coastal waters. 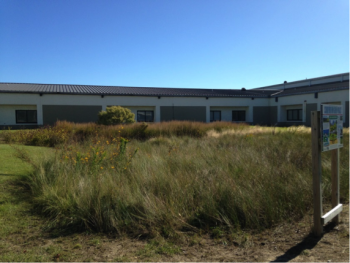 Rain garden site at First Flight Middle School. 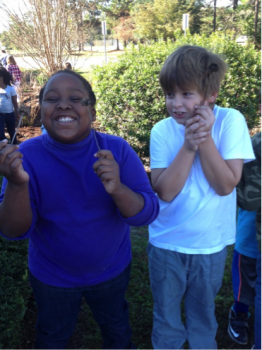 Third grade students learn about the effects of polluted stormwater on our estuaries and hands-on lessons on methods, such as mulching that reduce the amount of stormwater reaching our coastal waters. First, third, fourth, and fifth graders received lessons on stormwater runoff and brainstormed ways to keep coastal waters clean and how to keep their rain gardens healthy. Sixth graders and teachers worked to maintain their rain garden and worked in groups to identify the native plants which live there. For more information on school rain gardens click here. 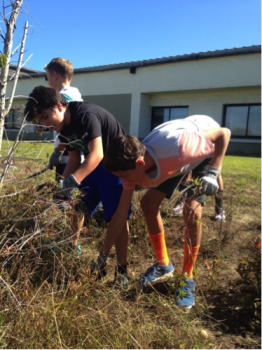 Sixth graders at First Flight Middle School help to maintain their school rain garden this fall.